In order to travel on a CHA tour, you will first need to find a teacher in your school or another responsible adult such as a school adminstrator or parent to serve as your group’s leader and chaperone. Approach the teachers you feel will be most interested in traveling overseas. 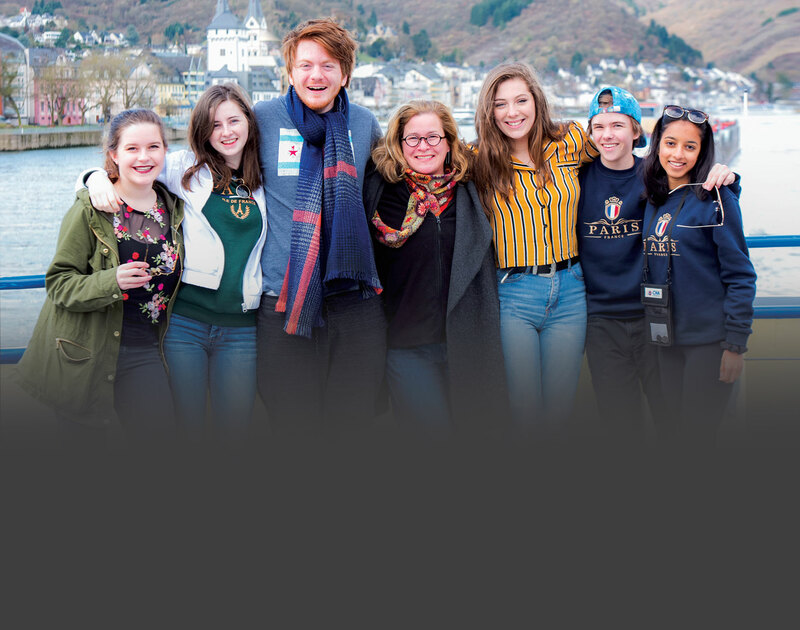 There may already be several teachers in your school or in neighboring schools who have traveled abroad with CHA in the past. If not, we recommend that you contact foreign language, history, art, music and literature teachers first as they will be most interested in the countries we visit and the tours we offer. Be sure to give teachers CHA’s toll-free number and website address so they can get more information about our tours. Once you have found a teacher to function as your group’s leader, be sure to lend a helping hand in promoting the tour. Spread the word about the trip to your friends and family, and encourage your teacher to organize a meeting after school to meet with potential travelers and to answer questions. You'll soon be on your way to a memorable and exciting overseas adventure! Your group leader will provide potential travelers with CHA's Tour Enrollment Booklets and copies of the tour itinerary he/she has selected for your group. Once you’re ready to enroll, you may choose to sign up by mail (with a payment in the form of a personal check or money order) or online at www.cha-tours.com (using a major credit card). Your group leader will give you the Group Access Code we have assigned to your tour group to use when enrolling online.